You walk up to your refrigerator and spot the big, red circle on the calendar. Inside it reads, “Dentist Appointment: 1:00.” Admit it: you stand there and try your hardest to come up with an excuse to reschedule, right? Besides, your teeth aren’t giving you any problems, so why bothering wasting time in the dentist chair. Well, if you want to keep your oral health in check, you’ll listen to a dentist explain the benefits of regular dental checkups. While you may not understand why this bit of conversation is important at the end, it allows your dentist the opportunity to answer any of your questions, as well as educate you on proper at-home care and explain more complex dental issues you may not understand. In addition, you and your dentist will work together to establish a plan that meets both of your goals, budget, and schedule. There is a reason your dentist will want to perform an oral cancer screening during your routine visit. This is because the earlier you can catch any signs or symptoms, the increased likeliness that you’ll be able to successfully treat it. You don’t have to smoke or drink excessively to get oral cancer. Studies show that 25% of people who suffer from oral cancer don’t exhibit or practice risky behavior. This non-invasive screening is a life-saving part of your regular checkup. 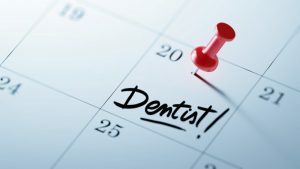 Don’t take the risk of skipping out on your next dental checkup. Take the time to go see your dentist and be checked for oral cancer and all other oral health issues. Trust us, it’s worth it. When it comes to taking proper care of your teeth and gums, Darby Creek Dental is here to help. Our team of experienced doctors and expert team members offer a wide range of dentistry services to meet your dental needs. From preventative checkups to advanced restorative care, we’ll take care of your entire family in one location! We use state-of-the-art technology to create accurate and comfortable results, and we are here to serve you with early morning office hours for those with hectic schedules. To learn more about our dental office and services, contact us at (937) 644-8822.